many nutrients, such as silica which helps with hair growth. 1. 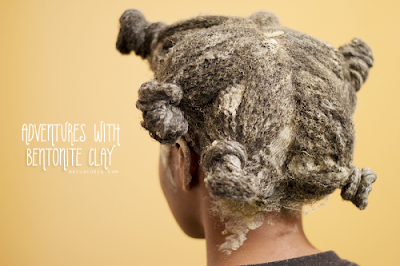 Mix apple cider vinegar and bentonite clay together (the consistency depends on how thick or smooth you want the mixture to be and how much hair you have. I usually add a bit of water to thin it out for easier application). 2. 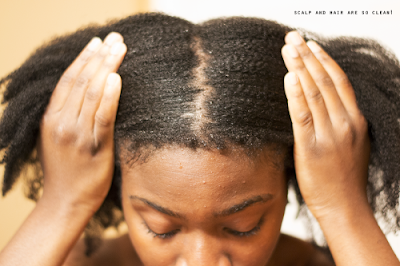 Apply it to your strands, scalp, nape…and edges! It's best to apply on damp hair. Again, for ease of application. 3. Let the clay sit for at least 30 mins. 4. 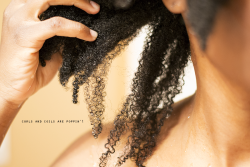 Rinse out with warm water, and follow it up with a moisturizing deep conditioner. It’s really that simple! Do this once a month and you will see a dramatic change in your hair. Amen, I love the look that it gives the hair. Something worth trying, I'm excited to see the results! It's been a lot of good reviews so far, please share yours when you do try it. Can a prepoo be done before applying the clay mask?